Always the height of style and luxury, the 2019 Lincoln MKZ returns with an even longer list of standard features and a fiery new engine. Compared to previous models, the 2019 MKZ sedan offers a longer list of standard features. The new standard lineup is certainly worthy of this high-caliber luxury segment, supplying drivers with finery like automatic climate control and the innovative Sync 3 infotainment system. For drivers who crave a little extra excitement, a turbocharged V6 engine is now available. It supplies up to 400 horsepower for a thrilling ride. How does the MKZ stand apart from the competition? This luxury sedan is decked out in upscale comfort and convenience features. That means every model comes standard with keyless entry and ignition, so you and your family can hit the road in style. Inside, the dual-zone automatic climate control and soft, supportive seating offer hours of on-road comfort. Tech features are also abundant. This includes Apple CarPlay and Android Auto, technology that displays smartphone apps on the MKZ's 8-inch central touchscreen. Thanks to this smartphone integration technology, you can make calls or check your texts without taking your eyes from the road. Two USB ports keep devices charged, so you don't have to worry about being halfway across town with a dead battery. 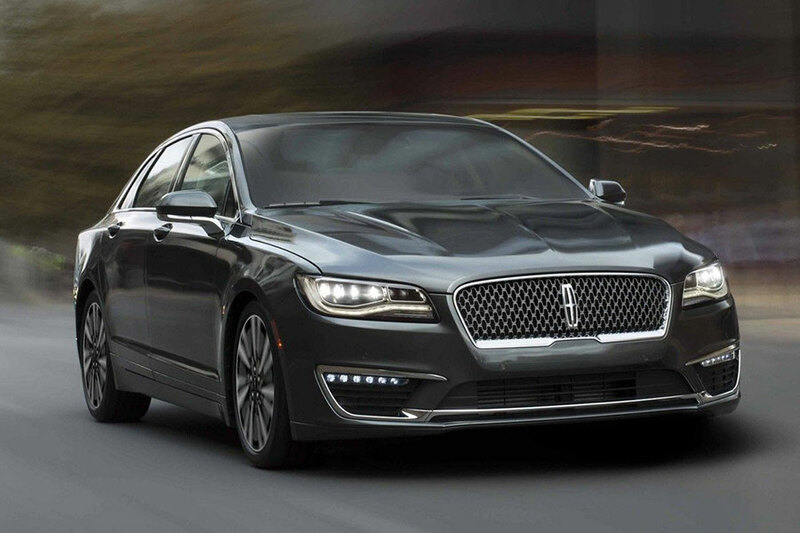 The 2019 Lincoln MKZ also supplies world-class performance. Add the turbocharged V6 engine to this luxury sedan for blazing speed to compliment your smooth, quiet ride. If you prefer to go green, the MKZ Hybrid model is available at no extra cost. Does the 2019 Lincoln MKZ offer all-wheel drive? Yes! All-wheel drive performance technology is available for all three trim models. If you frequently travel over icy pavement or you want to take your Lincoln down some light off-road trails, add this equipment to your MKZ. If you're looking for the sportiest MKZ, get the Reserve II with all-wheel drive and the optional turbocharged 3.0-liter V6. In the top-trim Reserve II, adding all-wheel drive means you also get an extra 50 horsepower for a total output of 400 horses. You can't beat the combination of a powerful engine and traction-enhancing all-wheel drive. The 2019 Lincoln MKZ comes standard with the Co-Pilot360 suite of driver aids, a long list of features designed for maximum on-road safety. The front collision warning system alerts you to oncoming danger, but it also jumps into action, automatically applying the brakes to mitigate damages. The lane-keeping assist function does an excellent job of sensing when you've strayed from the correct path, and it gently nudges you back onto the right one. Automatic high beams can sense when you require increasing illumination and turn on accordingly.